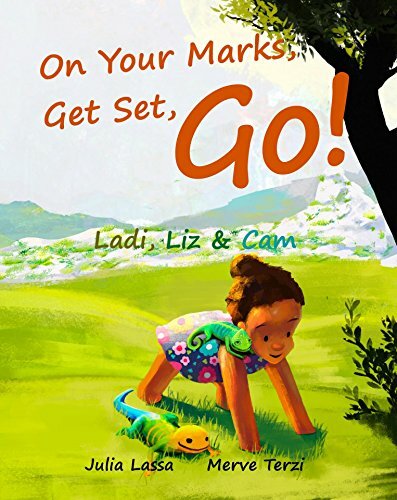 Liz is a lizard, Cam is a chameleon and Ladi is a little girl. The three of them are best friends. On a warm sunny day, they sit together on the grass. three friends. They argue who is the fastest amongst them all, and so they commence a competition. But they are so different, how can they find a fair running course that would be equally hard for all of them? This is a sweet story with a very powerful message of acceptance, sharing, and how true friendship can overcome the differences between friends and even embrace and celebrate the uniqueness of each friend. The illustrations are beautiful. So vivid and colorful. This book is a true gem.